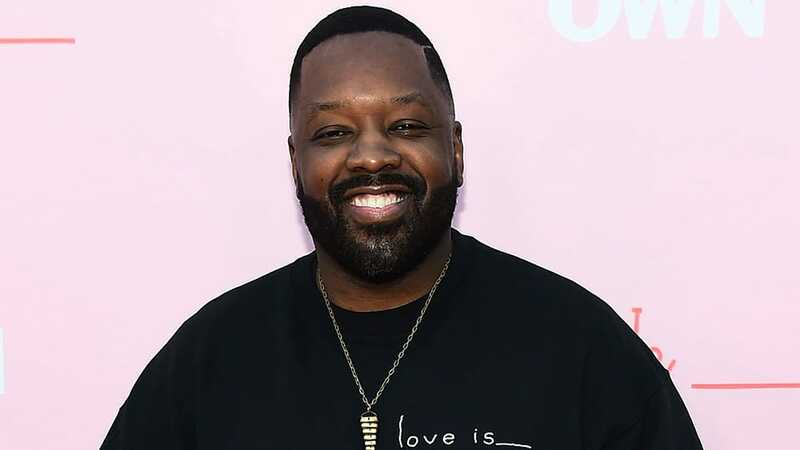 Kadeem Hardison was born on 24 July 1965, in Brooklyn, New York City USA, and is an actor as well as a director, probably best known for his role as Dwayne Wade in “A Different World”, which is a spin-off from the sitcom “The Cosby Show”. How rich is Kadeem Hardison? As of late-2018, sources inform us of a net worth that is at $2 million, earned through a successful career in acting. He also starred in the Disney Channel series “K.C. Undercover”, playing Greg Cooper until the show’s end in 2018. As he continues his career, it is expected that his wealth will also continue to increase. Kadeem is the only child of catwalk model Bethann Hardison, who is known as one of the pioneers of diversity in the fashion industry. His father Donald McFadden was an antique and fine art collector. Little is known as to how he developed a passion for acting, but he started his career in the early 1980s, appearing in small roles in “ABC Afterschool Specials”, and “American Playhouse”. While taking in television projects, he also had a few small parts in films, before getting his first big break in the series “A Different World” as Dwayne Cleophus Wayne, in the sitcom originally focused on the character Denise Huxtable played by Lisa Bonet, along with the students of the fictional black college, Hillman College. After Lisa left the show during the first season, it focused more on Dwayne Wayne and Whitley Gilbert, played by Jasmine Guy. The show has a lot of connections to “The Cosby Show”, and characters from that series made appearances throughout its run. Hardison would stay with the show for a total of 138 episodes – its entire run until the sixth season. Kadeem made several guest appearances and had a few film projects before getting his second main role in the series “Between Brothers”, which focused on four African-American men in their late 20s, starring alongside Dondre T. Whitfield. However, the show was short-lived as it only ran for two seasons and 17 episodes before it was cancelled. In 2003, he had another main role in the series “Abby”, cast as Will Jeffries in the show focused on television producer Abigail “Abby” Walker, played by Sydney Tamiia Poitier, and her relationship with ex-boyfriend Will Jeffries. Despite the heavy promotion, the show attracted few viewers and negative responses, especially for the show’s heavy reliance on sexual humor, and it was cancelled after 10 episodes. During this time, Hardison had another project in “Static Shock”, voicing Adam Evans for seven episodes, and made guest appearances in popular shows such as “My Name is Earl”, and “House”. Kadeem focused on further guest roles during the latter part of his career, in “Greek”, “Cold Case”, “Ghost Whisperer” and “Family Guy” among others, until securing a recurring role in “Cult” in 2013, playing the character Paz. The show focused on a production assistant who investigates mysterious disappearances that are linked to a television show named “Cult”, but it aired for only one season before its cancellation. In 2015, Kadeem had another notable role, this time in the show “K.C. Undercover”, a Disney Channel comedy series starring Zendaya as a teenager named K.C. who becomes a spy; in the show, he plays K.C.’s father. “K.C. Undercover” would run for a total of three seasons before the show reached its inevitable conclusion, meantime he also made a guest appearances in “Supernatural” and “Love Is_____”, and also had a few film projects during this period, including in “B.C. Butcher” which is a horror comedy film that he narrated, and in “Android Cop”, a science fiction film that is a parody of “RoboCop”. For his personal life, it is known that Hardison married singer Chante Moore in 1997, but they divorced after three years and a child. Chante is known for various musical releases, including the album “Precious” and the song “Chante’s Got a Man”. She later became more of a television personality in the latter part of her career. Kadeem is also a close friend of actor Darryl Bell, since their appearances in the show “A Different World”. The two have worked together on other projects, including “House Husbands of Hollywood”.